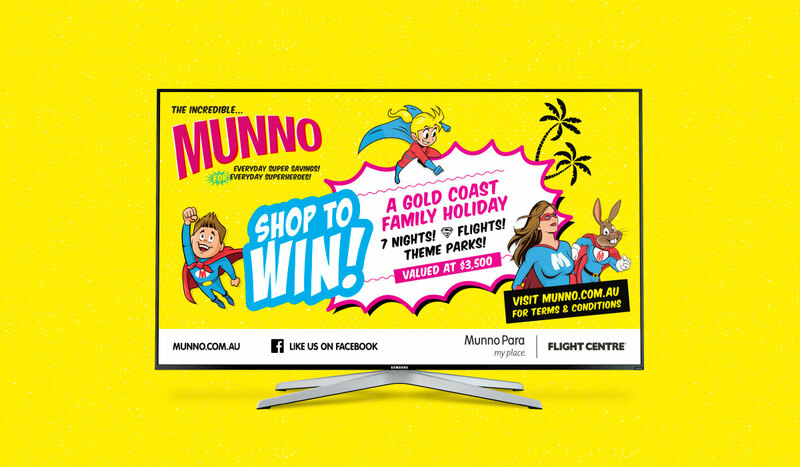 Look in the Northern Suburbs – it’s a bird, it’s a plane, it’s The Incredible Munno. 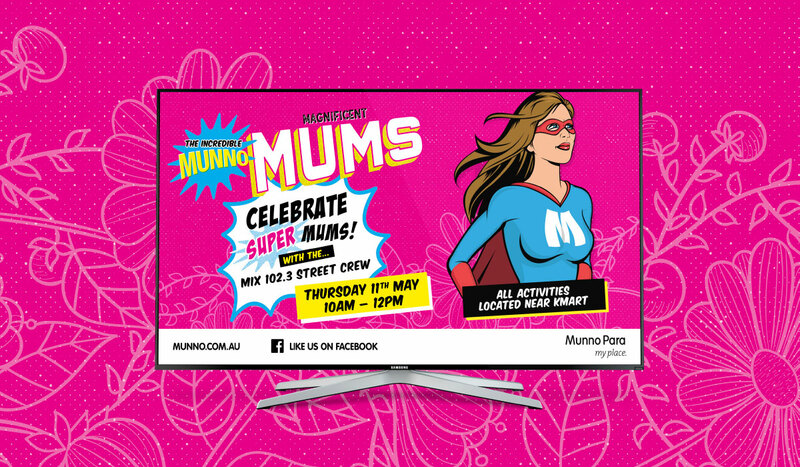 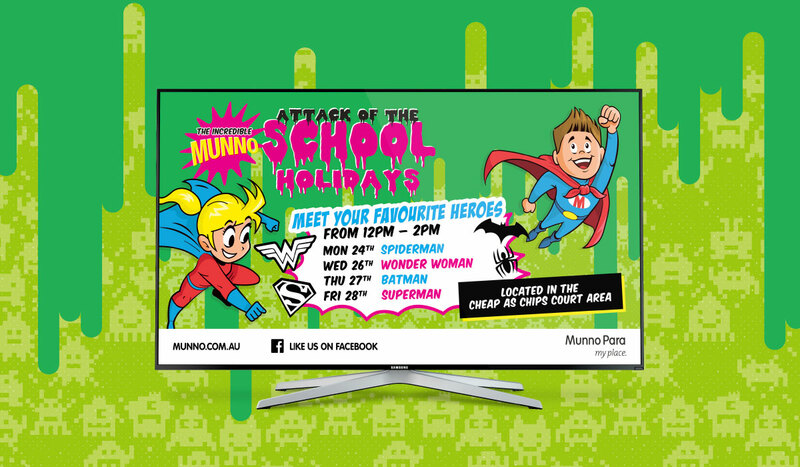 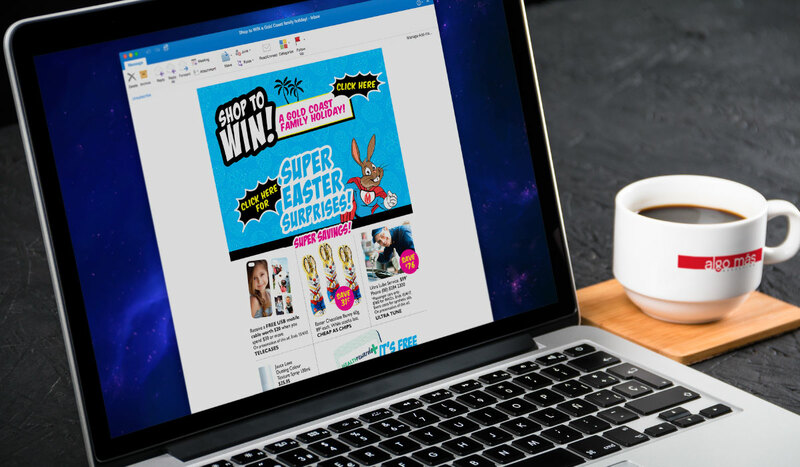 Recently we worked with Munno Para Shopping City to deliver a super powered, super hero campaign. 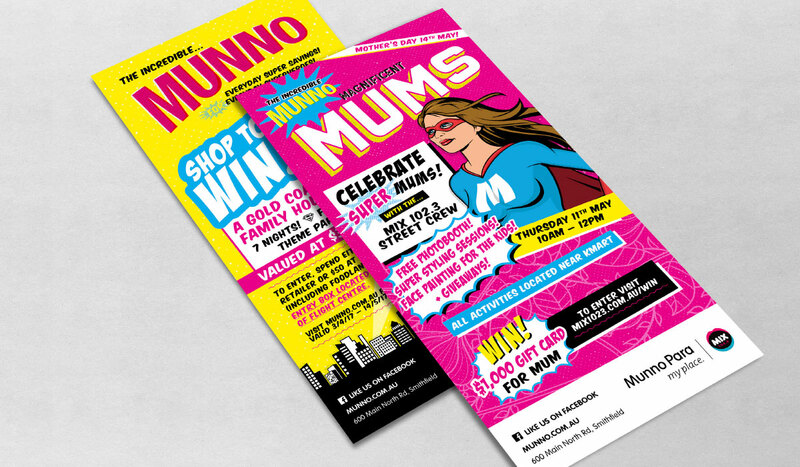 This campaign was rolled out over the crazy autumn period in April and May, covering Easter, School Holidays and Mother’s Day. 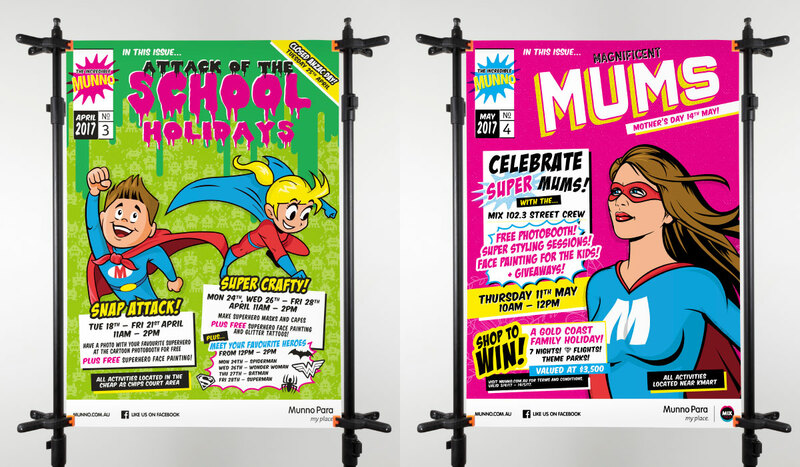 Each event was given its own comic inspired title (Easter Escapades, Attack of the School Holidays and Magnificent Mums) and a bright, fun and energetic vintage comic book cover feel design. 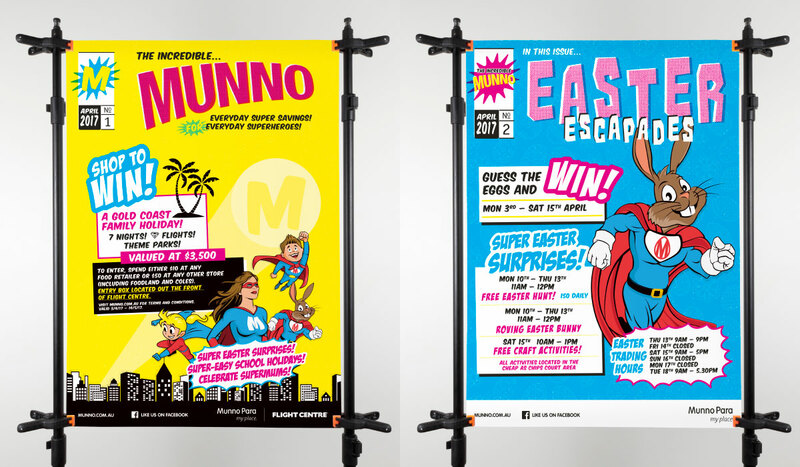 Each campaign period required posters, DL Flyers, press and digital advertising, EMDs, in-mall screen advertising and social media graphics.